There is a suite of infection control guidelines available on Trustnet, Trust Documents/Infection Control. There is also a Resource page on Trustnet which links to guidance on outbreak management and the relevant documentation. Seasonal updates, news and easy reference guides are also posted here and updated on a frequent basis. Infection Prevention and Control Team can be contacted by Tel: 32115 between 08.00- 17.00hrs, or via Switchboard until 21.00hrs daily. The trust has empirical antimicrobial treatment guidelines for prescribers. These are available via the trust intranet homepage and on the internet here. The guidelines are also available as a smartphone app. Users need to download the app for their device by searching for “Rx guidelines”. 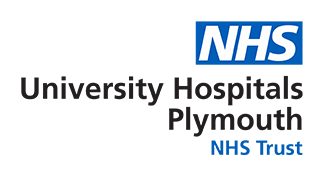 Once the app is installed, go to “Settings” then “Manage Guidelines” then “Antimicrobial” to select University Hospitals Plymouth NHS Trust from the list of available guidelines. Once downloaded, these guidelines are available to the user without an internet connection. Clinical microbiology advice is available from the duty Consultant Microbiologist via ext 30010 between 9am – 5pm Mon to Fri. Urgent clinical advice is available 24/7 out of hours from the on-call Consultant Microbiologist via switchboard. Acute Encephalitis, Acute Poliomyelitis, Anthrax, Diphtheria, Dysentery (Amoebic or Bacillary), Leprosy, Leptospirosis, Malaria, Measles, Meningitis, Meningococcal Septicaemia (without Meningitis), Mumps, Ophthalmia Neonatorum, Paratyphoid, Rabies, Rubella, Scarlet Fever, Tetanus, Tuberculosis, Typhoid, Viral Haemorrhagic Fever, Viral Hepatitis, Whooping Cough, Yellow Fever. Cases of notifiable disease in Devon, either in hospital or the community, should be notified to Public Health England. Telephone:0300 303 8162 option 1 option 1. Address: Public Health England South West, Follaton House, Plymouth Road, Totnes, Devon, TQ9 5NE.